Download an itinerary for your next holiday! These self-drive routes will inspire you to explore some of the most extraordinary highlights in the North of Western Australia. 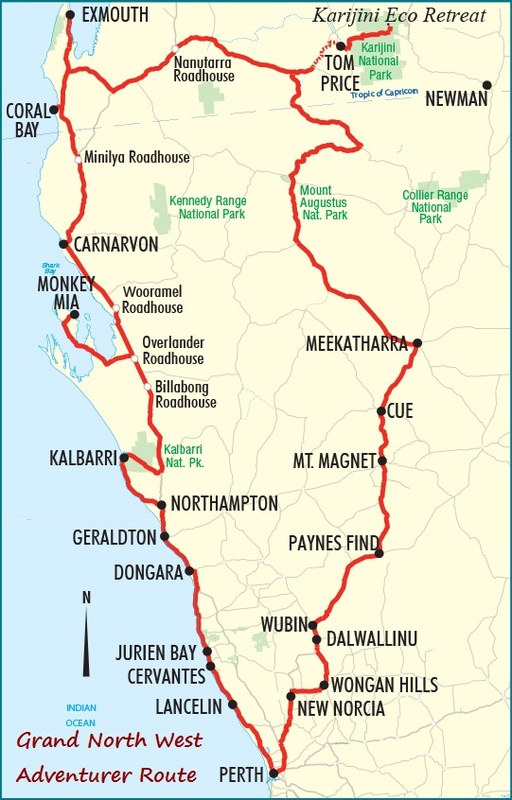 Each route will lead you to a range of iconic sites which reflect the natural beauty of Western Australia, combining coastal seascapes with ancient gorges, the ghosts of the gold rush days, Dreamtime stories and rock art from one of the world's oldest living cultures. the world's biggest rock - Mt. Augustus!